AIIMS Delhi Result 2019: Below are the latest results published by AIIMS Delhi - All India Institute Of Medical Sciences (AIIMS) - New Delhi / www.aiims.edu. The recent result announced by the organization is DM/ MCh/ MD (Hospital Administration) Courses Stage I Result 2019. AIIMS Delhi DM/ MCh/ MD (Hospital Administration) Courses Stage I Result 2019: All India Institute Of Medical Sciences (AIIMS) - New Delhi has announced the Result on 16 Apr 2019 for AIIMS Delhi DM/ MCh/ MD (Hospital Administration) Courses Stage I Exam 2019 . AIIMS Delhi DM/M.Ch/M.Sc Courses/M.Sc. Nursing Eligible List 2019: All India Institute Of Medical Sciences (AIIMS) - New Delhi has announced the Result on 03 Apr 2019 for the exam . AIIMS Delhi Md/ Ms/ Mds/ M. Biotechnology/ Fellowship Programme Eligible List 2019: All India Institute Of Medical Sciences (AIIMS) - New Delhi has announced the Result on 03 Apr 2019 for the exam . AIIMS Delhi Scientist-I (Biostatistics) & Dr. Brairch (Laboratory Oncology) (Stage-I) Result 2019: All India Institute Of Medical Sciences (AIIMS) - New Delhi has announced the Result on 27 Mar 2019 for AIIMS Delhi Scientist-I (Biostatistics) & Dr. Brairch (Laboratory Oncology) (Stage-I) Exam 2019 which was conducted on 09 Mar 2019. AIIMS Delhi Clinical Psychologist/ Psychologist (Stage-I) Result 2019: All India Institute Of Medical Sciences (AIIMS) - New Delhi has announced the Result on 27 Mar 2019 for AIIMS Delhi Clinical Psychologist/ Psychologist (Stage-I) Exam 2019 which was conducted on 09 Mar 2019. 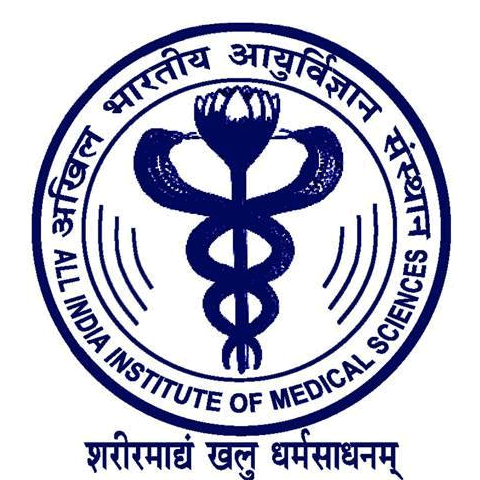 AIIMS Delhi Nursing Officer Marks 2019: All India Institute Of Medical Sciences (AIIMS) - New Delhi has announced the Result on 16 Mar 2019 for the exam . AIIMS Delhi Nursing Officer Re-Exam Result 2019: All India Institute Of Medical Sciences (AIIMS) - New Delhi has announced the Result on 14 Mar 2019 for AIIMS Delhi Nursing Officer Re-Exam 2019 . AIIMS Delhi Tutor in Nursing Stage I Result 2019: All India Institute Of Medical Sciences (AIIMS) - New Delhi has announced the Result on 08 Mar 2019 for AIIMS Delhi Tutor in Nursing Stage I Result 2019 . AIIMS Delhi Junior Hindi Translator Stage I Result 2019: All India Institute Of Medical Sciences (AIIMS) - New Delhi has announced the Result on 07 Mar 2019 for Junior Hindi Translator Stage-I Test 2019 . AIIMS Delhi Junior Engineer Result 2019: All India Institute Of Medical Sciences (AIIMS) - New Delhi has announced the Result on 06 Mar 2019 for AIIMS Delhi Junior Engineer Exam 2019 . AIIMS Delhi Scientist-I Pharmacology Interview Marks 2019: All India Institute Of Medical Sciences (AIIMS) - New Delhi has announced the Result on 18 Jan 2019 for AIIMS Delhi Scientist-I Pharmacology Exam 2019 . AIIMS Delhi Senior Residents/Senior Demonstrators Result 2018: All India Institute Of Medical Sciences (AIIMS) - New Delhi has announced the Result on 28 Dec 2018 for AIIMS Delhi Senior Residents/ Senior Demonstrators Exam 2018 . AIIMS Delhi Office Superintendent (Departmental) Posts Result: All India Institute Of Medical Sciences (AIIMS) - New Delhi has announced the Result on 27 Dec 2018 for AIIMS Delhi Office Superintendent (Departmental) Posts Exam . AIIMS Delhi Result of Second Round of Online Seat Allocation/Counselling for MD/MS/MCh(6 years)/DM(6 years)/MDS, January 2019 Session: All India Institute Of Medical Sciences (AIIMS) - New Delhi has announced the Result on 28 Dec 2018 for AIIMS Delhi Result of Second Round of Online Seat Allocation/Counselling for MD/MS/MCh(6 years)/DM(6 years)/MDS, January 2019 Exam . AIIMS Delhi Final result for the recruitment to the post of SR/SD: All India Institute Of Medical Sciences (AIIMS) - New Delhi has announced the Result on 27 Dec 2018 for AIIMS Delhi SR/ SD Exam 2018 . AIIMS Delhi Post-Graduate/Post-Doctoral Programme Examination Result 2018: All India Institute Of Medical Sciences (AIIMS) - New Delhi has announced the Result on 21 Dec 2018 for AIIMS Delhi Post-Graduate/Post-Doctoral Programme Exam 2018 . AIIMS Delhi SR/ SD Jan-2019 Session Exam Result: All India Institute Of Medical Sciences (AIIMS) - New Delhi has announced the Result on 01 Dec 2018 for AIIMS Delhi SR/ SD Exam Jan-2019 . AIIMS Delhi DM / MCh and MD Hospital Admin. Courses Entrance Exam Final Result 2018: All India Institute Of Medical Sciences (AIIMS) - New Delhi has announced the Result on 27 Nov 2018 for AIIMS Delhi DM / MCh and MD Hospital Admin. Courses Entrance Exam 2018 . AIIMS Delhi PG Entrance Exam Result 2018: All India Institute Of Medical Sciences (AIIMS) - New Delhi has announced the Result on 23 Nov 2018 for AIIMS-Delhi PG Entrance Exam 2018 . AIIMS Delhi DM / MCh / MD Hospital Administration Courses Stage I Result 2018: All India Institute Of Medical Sciences (AIIMS) - New Delhi has announced the Result on 09 Nov 2018 for AIIMS-Delhi DM / MCh / MD Hospital Administration Courses Stage I Exam 2018 .